Korea’s exports will reach a record high of $600 billion this year, driven by favorable market conditions of global tech companies and the rise of oil prices, said the chief of the state-funded trade and investment promotion organization on Thursday. Korea’s exports in the period from January to August stood at $399.8 billion, a rise of 6.6 percent from the same period last year, according to the Korea Trade-Investment Promotion Agency. The nation’s exports reached $574 billion last year. “Although the growth of exports is expected to slow down in the second half, the remaining four months are expected to see over $200 billion of exports to reach a record high of $600 billion this year,” said Kwon Pyung-oh, president and CEO of KOTRA, during a press briefing Thursday. As for the reasons behind the surge in exports, Kwon cited favorable market conditions of global tech companies and the rise of oil prices. Global tech firms’ memory chip imports from the world’s largest chipmaker Samsung Electronics and SK hynix accounted for a large portion of the nation’s total exports in the period from January to August this year. 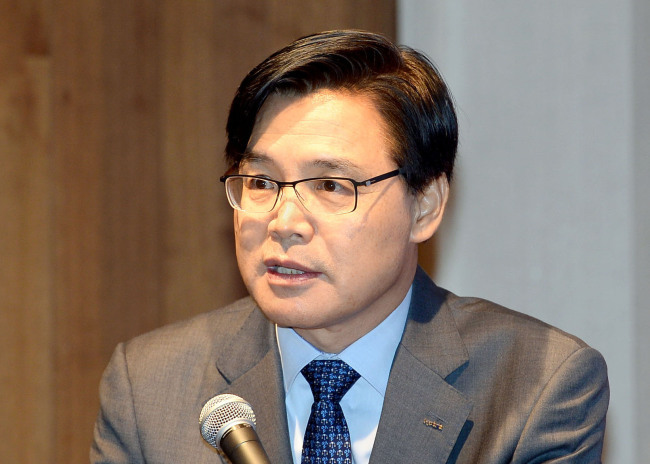 Kwon predicted that the upward trend in exports would continue in the latter half of the year, as the global economy is expected to rise 3.9 percent this year despite concerns over a trade dispute between the US and China. Global trade will rise 4.8 percent this year due to the global economic recovery and the trade growth of key emerging nations, including China, India, Vietnam and the Commonwealth of Independent States, KOTRA predicted. With the positive outlook of global trade, Kwon said his top priority during his tenure is to create decent jobs in Korea, which is struggling from a high unemployment rate. “We will make efforts to create decent employment in the global market by supporting youths to land jobs overseas using our global network,” Kwon said. This year, KOTRA expanded its number of trade centers from 35 to 50, with the aim of creating more than 1,000 jobs overseas by 2020.